You are here: Home / Artwork / Can You Picture Dissociative Identity Disorder? 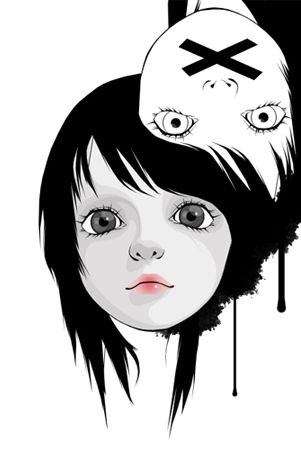 What is it like to live with Dissociative Identity Disorder? How does it feel to have Dissociative Identity Disorder? What do you wish others could understand about DID? Have you found it hard to put the experience of Dissociative Identity Disorder into words? Sometimes pictures say a thousand words. Dissociative Identity Disorder can be hard to explain in words, but a visual image can show what is hard to explain otherwise. Have you drawn or created some pictures that show how DID / MPD feels? If you have a picture — a drawing, a painting, a collage — that represents DID as you relate to it, and if you are willing to share your picture, I would like to show some of those images here in this blog as a way to help describe DID. If you have some appropriate images that you would like to share, please send them to my email address: Kathy at Discussing Dissociation.com (remove the spaces). If there are words or a story that goes along with your image about dissociation, please include that as well. You can request that your submission be posted with or without an identifying name / title, etc. Please do not submit any copyrighted material from other sources or any other material that is not your own. Please do not send the only copy or the original copy of your pictures or artwork to my mailing address. Send scans or photos of the pictures only. Please note: anything that is submitted for consideration in this project will not be returned. Personal details regarding internal system information or system maps will not be posted, in order to protect individuals and their system from the potential risk of making that information public. When you are considering which pictures to submit, please remember that you are responsible for determining what you are comfortable sharing and what is too personal for you to share. Please listen to and respect your own feelings in this regard. 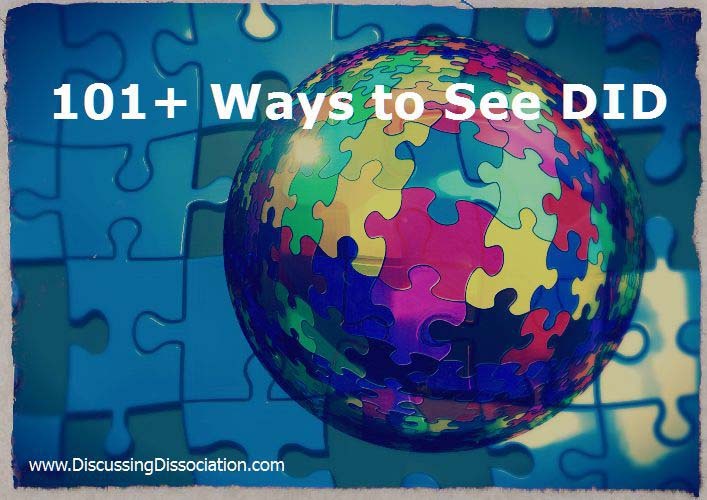 Keep in mind that the Discussing Dissociation blog is an online environment, and you are submitting your pictures or images for consideration as part of a public post. Please understand that once a picture is posted on a blog, it is publically visible to anyone in the world with internet and could potentially be copied by anyone that views it. If you choose to submit a picture, you are accepting all responsibility for what happens with your picture as a public item. 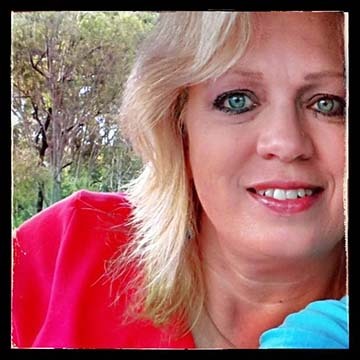 Kathy Broady / Discussing Dissociation are not responsible. Please know that I will not personally know these artists nor will I be familiar with their systems or how things work for them. In the blog articles, I will ask questions and interpret some DID system issues by the way things were drawn, but not because I am familiar with the people in real life. My guesses might be wrong! I am simply looking at these pictures and presenting some of my thought about how DID can be seen and more deeply understood by paying attention to artwork and drawings. In a therapeutic setting, I would of course, ask the survivors to explain their art before I began presenting some of my own interpretations. However, for the purposes of this blog, I will present some of my thoughts without having had the opportunity to speak with the artist directly. The intention is to provide education information for those working with dissociative disorders – to point out possibilities of dissociative issues within artwork – to explore options about system interpretation, etc. My interpretations may or may not be correct — only the artist will know that. The artists are not required to nor expected to provide the “correct” interpretation of their work to me or to the readers of this blog as their privacy is important. However, for the purposes of discussing elements of dissociation, I will be speaking openly even without knowing if my comments are accurate or not. Thank you for your willingness to participate in this project! I look forward to seeing what DID looks like to you! Can you clarify who will retain copyright over the images submitted, and what steps will be taken to ensure that the images are protected from any copyright infringements – that is, copy and pasted from here into anything else. ah yes… copyrights… you’re very good at copyright stuff. Let’s see. As far as I’m concerned, the copyright belongs with the artist. I am not trying to own / take the pictures from anyone – just display them, and use the pictures as a starting place for conversation and DID education. As far as protecting the pictures from being copy-pasted from here…. At this point in time, I don’t know how to prevent that from happening. Is there a way that I can do that? If you know of a way that I can make it so that pictures cannot be copy-pasted from a wordpress blog, would you please send me that info? I would be very glad to follow protective / copy-paste prevention options if there are any user-friendly options out there to be used. Do you – or does anyone – know how to do this? Words that came to me that feel right to describe DID. Recently there was a 40 car pileup on a major highway caused by a microburst of snow. There was no warning, there were no fatalaties, just a closed highway with a lot cars in pieces. I won’t display the AP images for obvious reasons. About an hour after, one could look and see no evidence of what caused this massive pileup. The snow was gone, melted in the morning sun. So here is what I see in my mind. Abuse is a microburst. Nobody sees it except the people who see it. The evidence is a big mess on a highway. Lots of broken up cars. But the microburst or abuse is vanished. The cars are pieces of me and they are shattered. There is no possible way to put it all back together again. Too many fragments to find and put with the right car. The highway is the core of me, what I like to think of as my soul. Here’s the catch. If this scenario plays out over and over again, the highway will likely have to be closed for repairs for quite some time. If it happens hundreds of times someone will get a clue and close the highway and reroute it. Meanwhile there are still all these now thousands of car parts that have no home anymore and some cars actually are the same make and model, so how do you KNOW that this piece goes with this car? You don’t. So you slap on a piece of one car that actually doesn’t belong there. Chaos. It never fits quite right again and eventually a correct replacement part will need to be ordered. The trouble is humans aren’t cars. There are no replacement parts for us. We do what we must to survive and hope that our path, our highway in this case isn’t destroyed, because if it is death will be the end result. Souls aren’t rebuildable. This makes sense to me. These words make sense to me. Maybe someone can relate. I’d actually like to write about this in more detail, but this was just what came pouring out, along with an error. yuck. There are more intricacies that could help someone who does not live with this that parallel the therapeutic process as well. I do not draw yet and can’t show my mind – it is in darkness. However, I do have a description that meshes for me. When I was a small baby crawling on the floor someone dropped a handmirror on the floor near me. I scooted over and looked in the mirror (the frame was still together, but the shards of the mirror were broken into irregular pieces). Looking into that mirror I saw only a chaotic view of human features seperated by small gaps due to breakage. There are many hundred fragments in my mirror. Wow, that was amazing, Juxtapieces! thank you for your kindness, lifemultiplied. Juxtapieces, Multipixies – those both made a lot of sense to me. Juxta – I had seen that 40 car pile up on the news @_@ made what you said very vivid to me.